On Wednesday evening, November 8, huge asteroid 2005 YU55 approached our planet and flew into deep space. The asteroid 2005 YU55 came within 201,700 miles (324,600 kilometers) of Earth at 6:28 p.m. EST (2328 GMT) before speeding off into deep space once again at about 29,000 mph (46,700 kph). The space rock is about 1,300 feet (400 meters) wide. An asteroid this large hasn’t come so near to Earth since 1976 and won’t again until 2028. The asteroid encounter brought 2005 YU55 closer than the moon, which orbits Earth at an average distance of 238,864 miles (384,499 km). But there was never any danger that 2005 YU55 would slam into Earth. 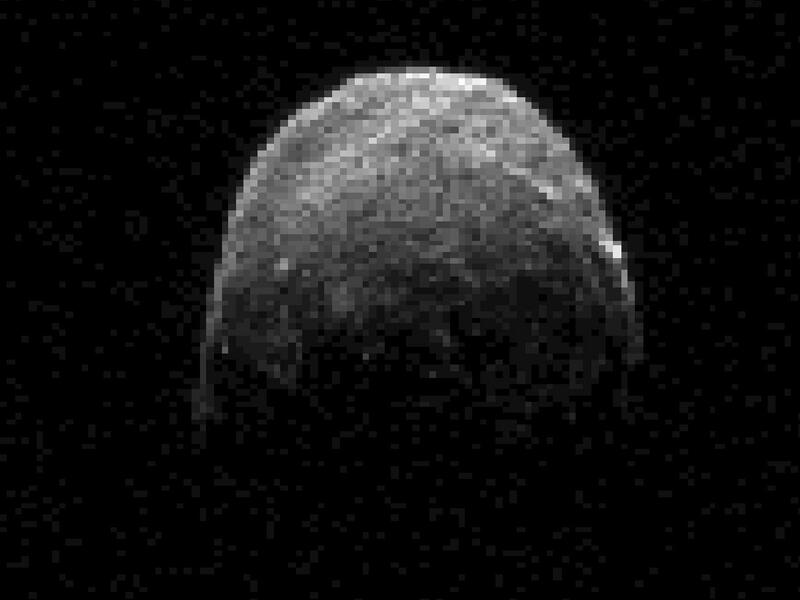 Photos and videos of asteroid 2005 YU55 released by NASA just before and during the flyby revealed the space rock to be a relatively round but lumpy object. According to scientist with NASA’s Near-Earth Object Office at the Jet Propulsion Laboratory (JPL) in Pasadena, Calif.,the approach to Earth an asteroid helps to learn more about its past and to predict its future.